If there is any club in my bag that is constantly changing, it is my putter. I have gone through at least two-dozen putters in the last eight years. With the most recent purchase, I was ready to hand over as much money as necessary to gain more confidence. Last summer I had an entire bag fitting done by The Club Fix in Irvine, California. The whole process was very expensive. The company charges for the fitting itself, charge extra for the custom building, and all this on top of the price of the clubs. When it came to fitting and buying a new putter, I had to come to terms with spending a large sum on a single club. The list price for the Taylormade Manta is $199. The build put the price at $299 with an additional $100 for fitting and tax. 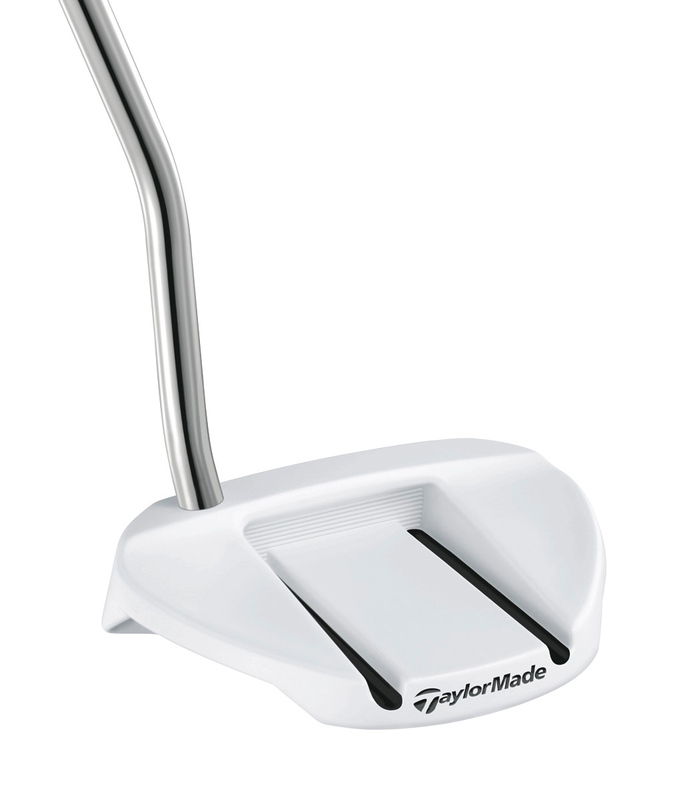 Over $400 for a Taylormade putter! Anyway, I went into the shop last week with a completely clear mind and zero preconceptions as to what I was looking for. Admittedly, a Taylormade putter, especially a belly putter, was the last thing on my mind. 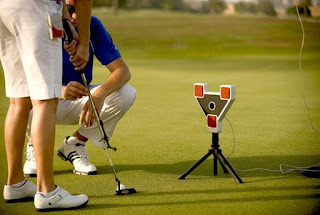 The fitting system they use is called the SAM putting lab. 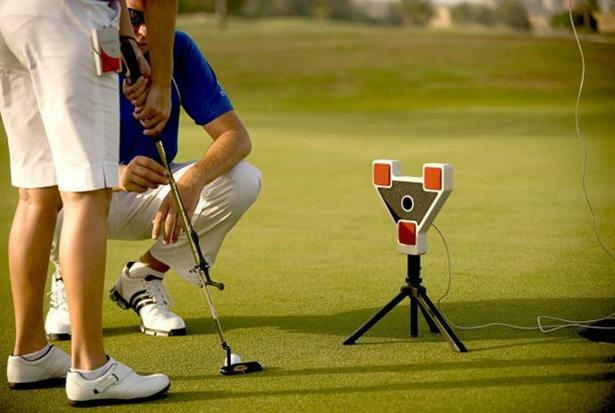 Basically, it involves lasers and computer analysis that digitally read and map the putting stroke. The process automatically selects the putter type and specs that work best with your stroke and build. I used my own putter on the initial evaluation and made three out of seven putts from about ten feet. My fitter recommended the belly putter and adjusted the one in the shop to 41.5". I then made all seven putts in a row and the rest is history. 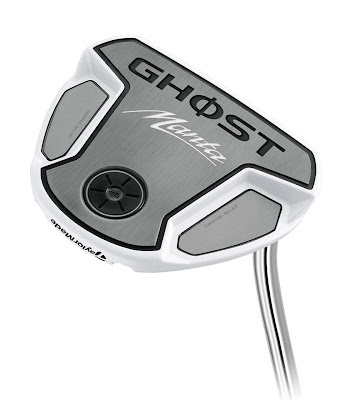 I had not even become adjusted to using this putter, but I did not need to: it was fitted to my natural stroke. I highly recommend spending the fortune it costs to finally get it done right. Upon receiving the putter, I was surprised by how high quality the construction seemed. I have had a few Taylormade putters in the past and they all looked cheap and the paint flaked off easily, etc. Though not quite the craftsmanship of a Scotty Cameron, this putter looks great. My putter was set up at 41.5" with 7* of loft and a lie angle of 73*; this is obviously something you could not get off of the shelf. The SAM lab laser measures the loft and then dials in the swingweight according to the new length. I have never been a huge fan of soft inserts, but the soft insert on this putter feels great. Instead of the cheap rubber feel you will get from average priced putters, the Manta feels incredibly solid and responsive. The Manta is also very easy to align. The two lines on the top help you point the putter directly on line with ease. I am not sure that the white finish is anything more than a gimmick, but I do think it looks pretty cool. Overall, the Manta is surprisingly well crafted. Despite my satisfaction with the belly style, I would not recommend it to anyone. I would recommend getting a proper fitting from someone who uses the SAM putt lab and getting the putter that works best for your stroke. Do not waste your time getting fit at a big box store from someone that received a little bit of training and is a 20 handicap. The Club Fix is another level of fitting, and I would recommend something similar. Do not be afraid of what is put in your hands, and if you end up with one the SAM putt lab custom fit putters, you know that you are receiving something built custom for your specific stroke. St Andrews Old Course to see changes? !